I don't have the charger that comes with it. I tried hooking it up to cheap 9v 500mA router transformer or something like that. Please don't use a random charger to charge this battery. 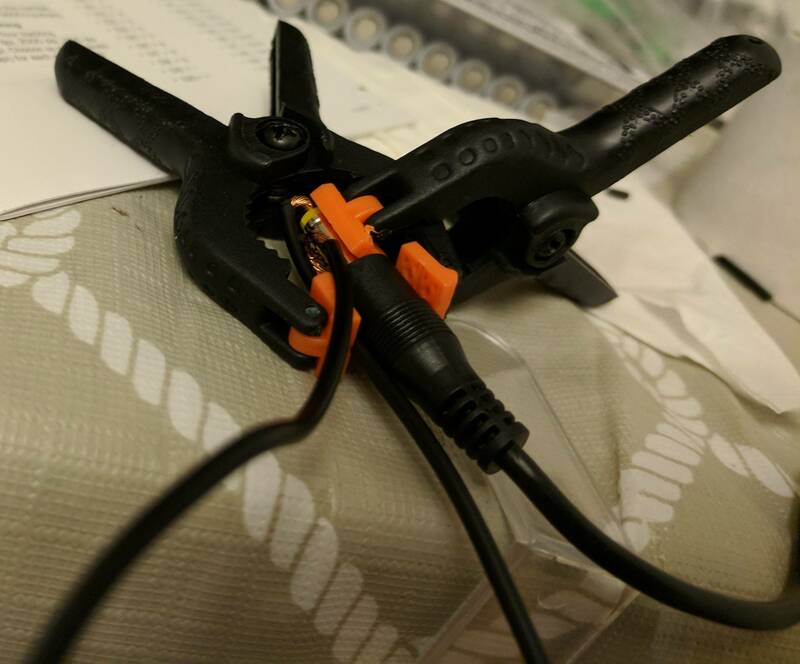 Spend the $8 and buy a purpose made lead-acid charger (like this one). 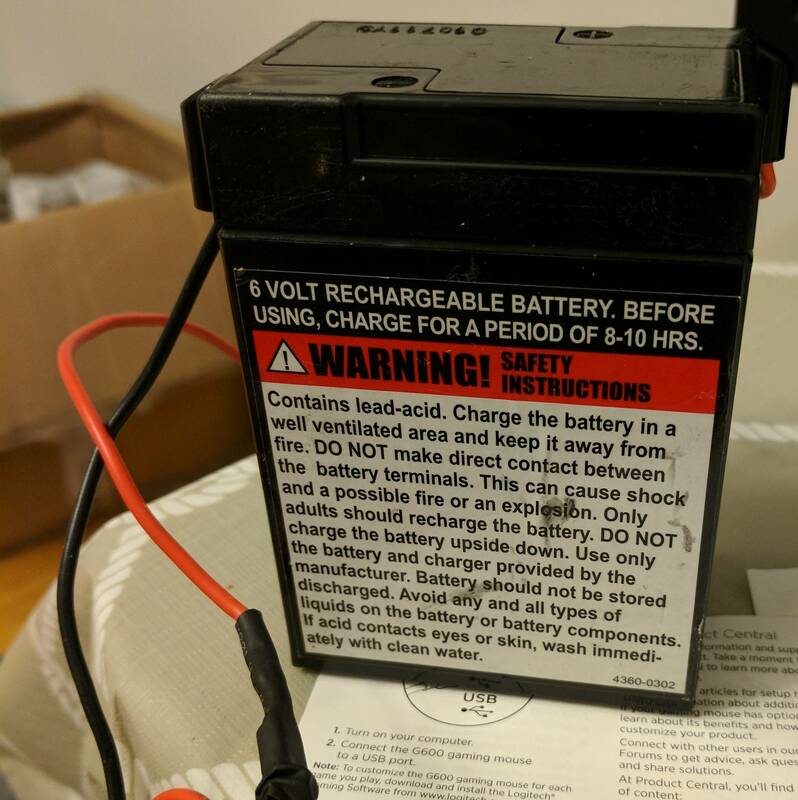 Incorrectly charging this battery can be dangerous, just like it says on the side. BUY A CHARGER. Look for one that is specifically for lead-acid, and specifically says "6 Volts". The one I linked to has a switch that allows you to choose between 6V and 12V. Obviously, you want to switch it to 6V. If you're not in the US, I can give you an amazon link for a charger you can get in your country, if you tell me what country. edit: just to show what can happen when you incorrectly charge these. This is a very severe, purposeful case of overcharging, but although these batteries are safer generally that Lithium cells, they are not immune to failure. When they do fail, they can send sulfuric acid and hydrogen spraying around. Not the answer you're looking for? Browse other questions tagged battery-charging lead-acid or ask your own question. How to attain a topping charge for a lead-acid battery? How to Choose a Lead Acid Battery Charger? Why isn't the final float charge rate = 0 for a fully charged car battery?